As the sound of pattering rain gives way to a droning organ and trudging bass, Ouija’s opener ‘Intro’ sets out a traditional doom blueprint that soon becomes a source of both frustration and familiar enjoyment. 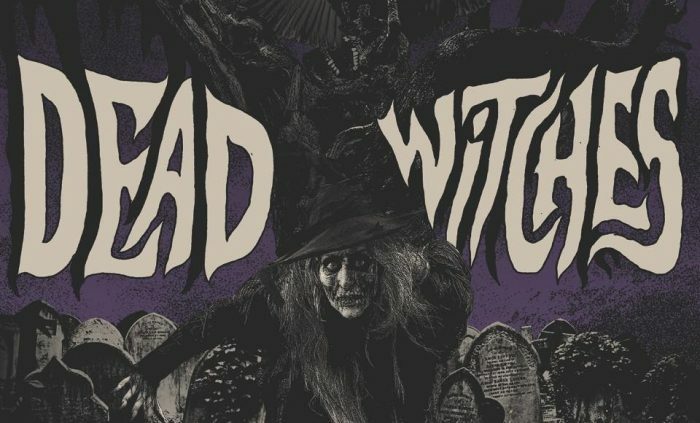 Bearing in mind that Dead Witches’ line-up includes Mark Greening, a former member of Electric Wizard and Virginia Monti, the vocalist from Psychedelic Witchcraft, the doom-quartet were always going to commit to record under a heavy weight of expectation. Along with the expectation that accompanies Ouija’s release there is also, unfortunately, an air of tragedy as guitarist Greg Elk sadly passed away shortly after the album’s completion. 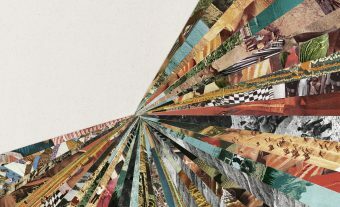 What follows ‘Intro’ are five songs that increase in quality, originality and heaviness as the album runs its course. Having formally abdicated their throne earlier this month, Black Sabbath have now officially played their last show. Despite being consigned to music history, Tony Iommi’s legacy will live on in the vast swathe of contemporary doom bands that employ the Sabbath riff-tone template. Track two, ‘Death’, falls foul of this homage, coming and going without much impact. Monti’s impressive distorted vocal sits low in the mix etching out a wealth of room for the riff but sadly the opportunity is missed. ‘Drawing Down The Moon’ is up next and again, frustratingly, the opening riff lacks imagination. Treading such a familiar path requires stellar riffs otherwise the song dims in the shadow cast by the titans of the genre. Luckily Greening’s drums pick up the pace and Monti’s wailing vocal drags the song to a stronger finish. Title track ‘Ouija’ almost instantly appears to follow the previous formula but as Elk’s melancholic lead-work begins to puncture the arrangement and Monti sings ‘sacrifice for the glory of man’, the album finally begins to find its feet. 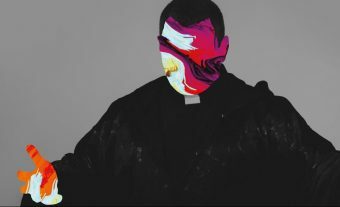 As the song gains speed through its second half Monti chants ‘no God in heaven, no God in hell’ and dark evocations of the occult make a welcome entrance. Next ‘Mind Funeral’ unwraps with a timely killer riff and colossal tom-work from Mark Greening, swiftly thundering into a sublimely dark chord progression. After 16 minutes of relatively familiar and uninspiring doom ‘Mind Funeral’ gives a clear indication of what Dead Witches are capable of when the riffs are up to scratch. The album closes with seven-and-a-half-minute ode to the unholy, ‘A World of Darkness’. Again, the quality ramps up as Greening’s lo-fi drums set a down-tempo stage for Elk’s profane guitars. The intro momentarily lulls into a haunting female audio clip – ‘you’re going to die up there’ – before setting out on a winding doom-crossing that chews up the next five minutes. Monti’s lyrics leave a molten melancholy brand on the song: ‘Eyes wide open, mind closed / You lost your way back to yourself / No way home, no way back’. It is frustrating that Dead Witches leave it to the last three songs of their album to break away from the Sabbath-a-like conveyor belt that is, quite frankly, beneath them. With such a heavy pedigree in their line-up it is unsurprising that the second half of the record does eventually take flight and ‘Mind Funeral’ and ‘A World of Darkness’ more than make up for the awkward start. Feed The Rats is 37 minutes of pure good old fashioned fun, like gunning several can of Special Brew and riding a shopping trolley around Tescos carpark until your are sick.